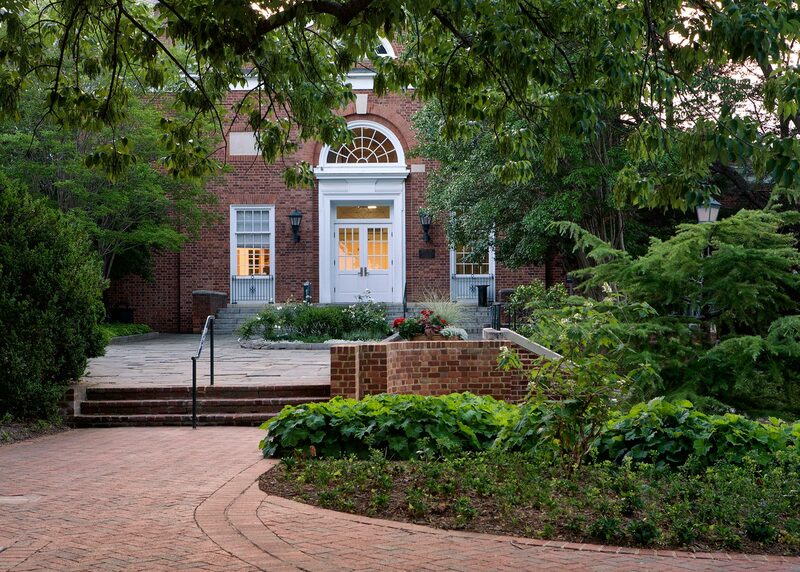 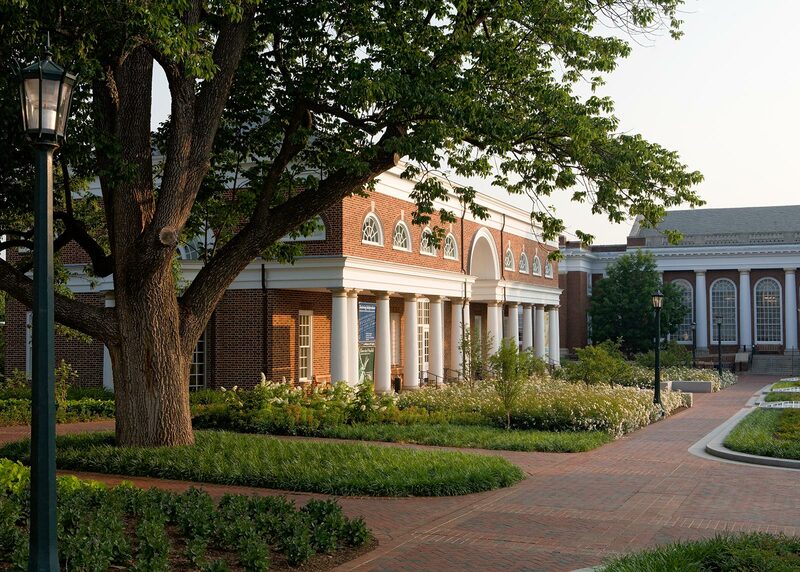 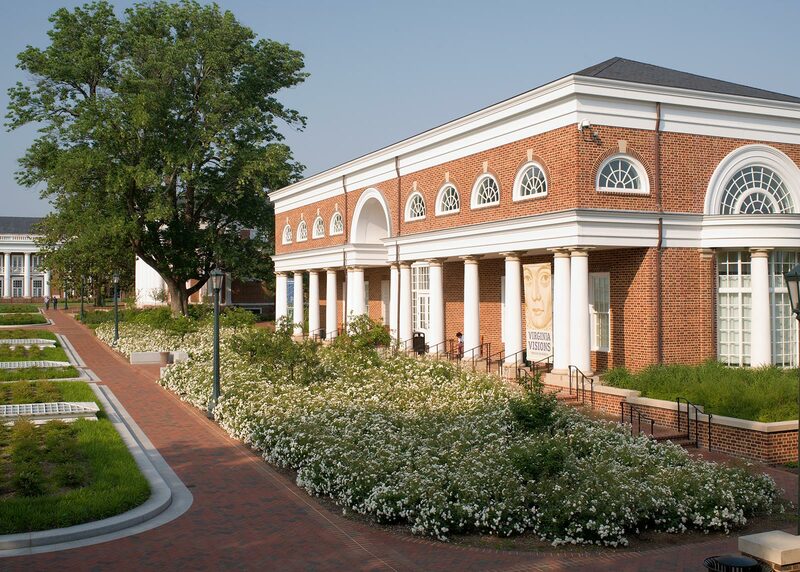 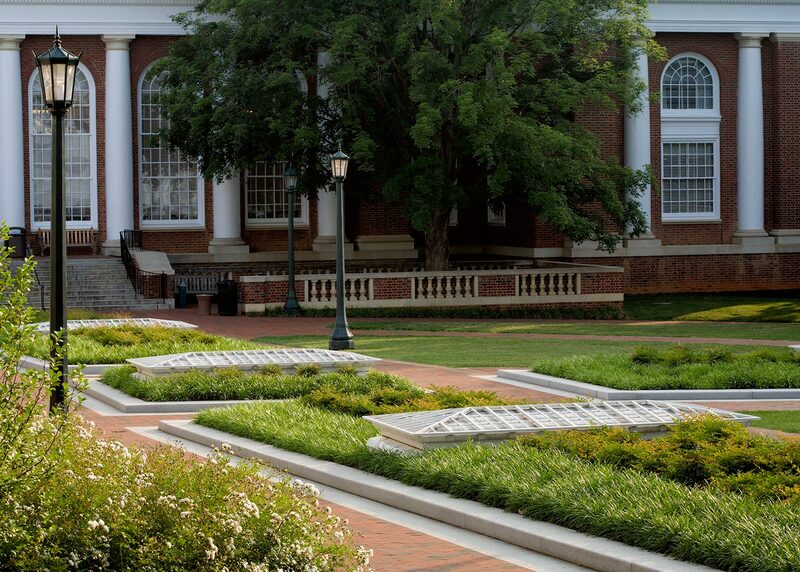 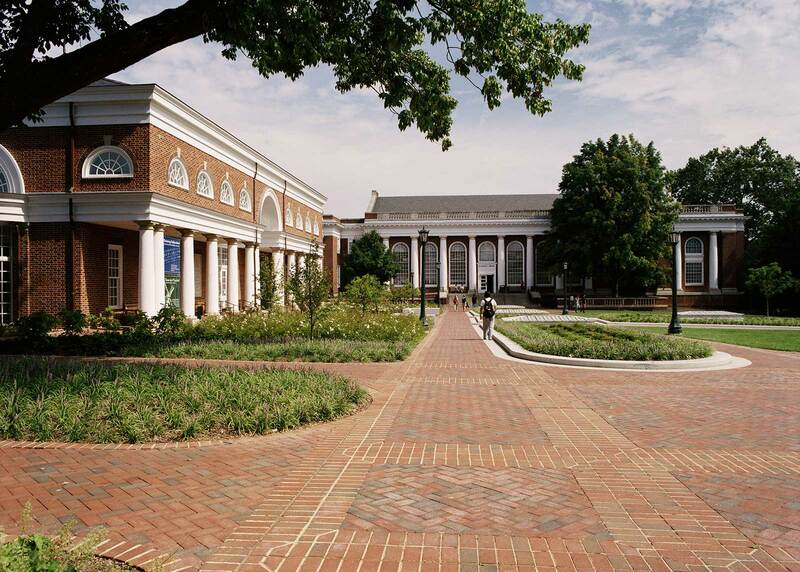 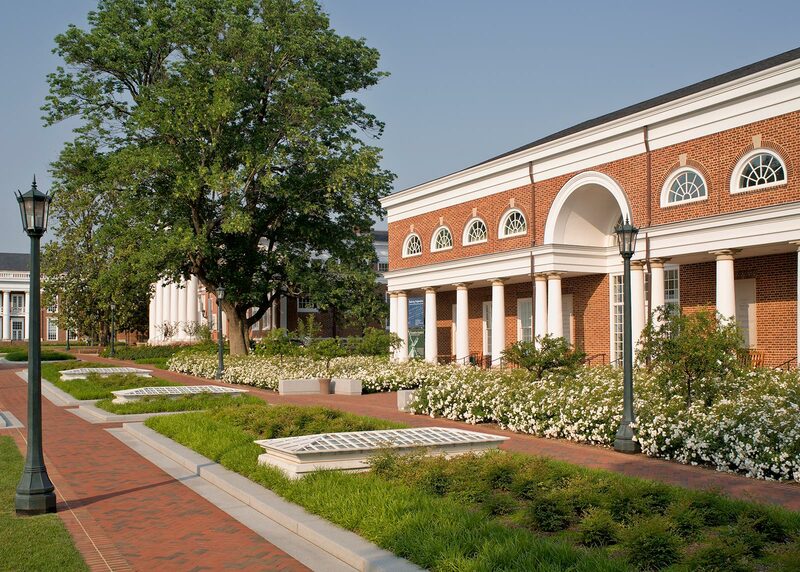 The University of Virginia’s Alderman Quad is one of the most important public green spaces on the Charlottesville campus. 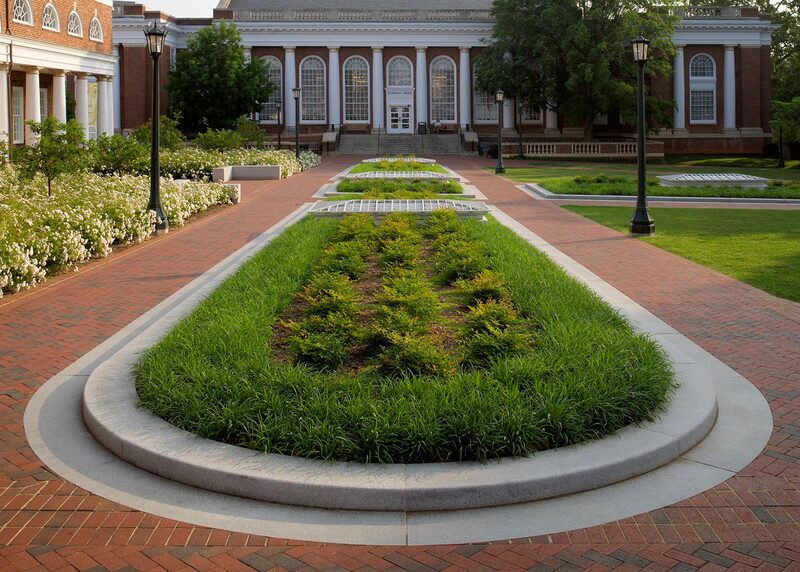 The new, ADA-compliant Quad is actually a green roof built over the Special Collections Library. 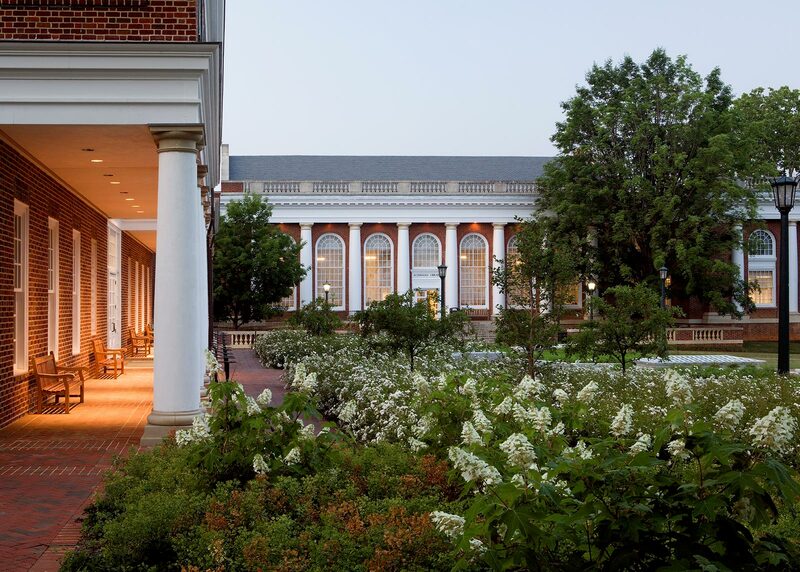 The below-grade library is visible only by ground level skylights integrated within planting beds.